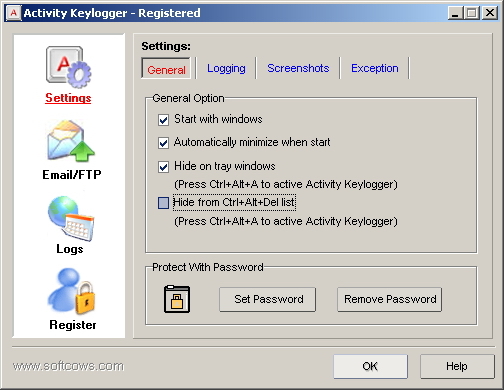 Activity Perfect Keylogger records keystrokes typed, screen, chats conversations, websites visited, perfect keylogger software for your ! Records activity - Records all keystrokes typed, chat conversations, screen, websites visited and more. Automatic email notice - Automatically send reports in email. 100% pure html format reports - The log reports are html files. Be Invisible - Cannot be seen in the taskbar, task manager and system tray.